China export dealer supplies rhinestone jewelry. Stretchy rhinestone ring with light pink chrystals embedded throughout entire ring. 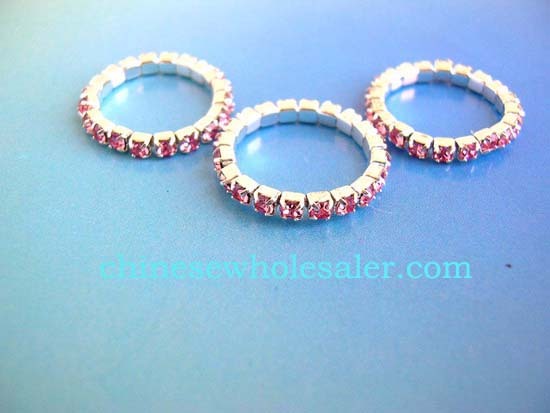 Stretchy rhinestone ring with light pink gems inlaid throughout entire ring.